The cold war legends USA and Russia have joined hands to tackle the iran threat. Fearing the possibility that Iran may rise as a new Nuclear Threat towards the global power makes the developed countries work hard onto it. Iran, a country of Middle east, has recently been on the NEWS for all the bad reasons . Right from the political drama to the nuclear energy , the country seems to be in question for an individual security. One of my friends living at US, tells me that a Iran family speaks out on how hardship they face under the present situation in Iran. Normal life cannot be achieved in Iran right now, he reports. 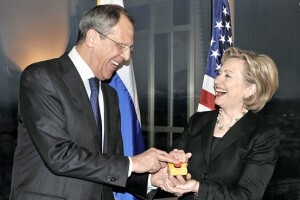 Well, US secretary of state Hillary Clinton and Russia’s Sergei Lavrov met at Moscow for talks between the countries. Iran nuclear programme was the first thing to be discussed in the talks. Mrs Clinton, in Moscow at the end of a European tour, praised Russia for its “extremely cooperative” work with world powers over the Iranian nuclear crisis.Mr Lavrov said Russia was “very reserved” about Iran at the moment. “We believe Iran is entitled to peaceful energy but is not entitled to nuclear arms,” Mrs. Clinton told reporters. Russia earlier opposed tougher sanctions on Iran but Mr Medvedev appeared to shift his stance after the revelation that Tehran had a second uranium enrichment facility in the city of Qom. He has indicated that his government may ultimately accept further sanctions as inevitable.